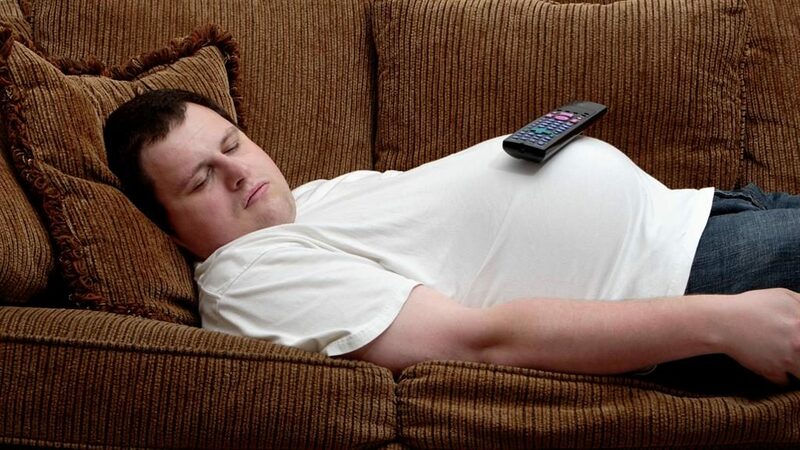 COUCH potatoes who still lounge around their parents’ home in their 30s could represent the next stage of evolution, according to a new theory. Natural selection based on ‘survival of the slacker’ — which suggests laziness can be a good strategy — has been uncovered by US scientists. Prof Bruce Liberman and a team at the University of Kansas examined 299 species of molluscs spanning 5million years. Those that avoided extinction tended to be ‘low maintenance’ with minimal energy requirements. ‘Maybe in the long term the best evolutionary strategy is to be lassitudinous and sluggish,’ he said. ‘The lower the metabolic rate, the more likely the species you belong to will survive. Instead of “survival of the fittest”, maybe a better metaphor for the history of life is ‘survival of the laziest’ or at least “survival of the sluggish”.’ His colleague Dr Luke Strotz said other factors were at play but ‘the metabolic rate of an organism is a component of extinction likelihood’. The team plan to see if this applies to other animals, according to the report in Proceedings of the Royal Society B.